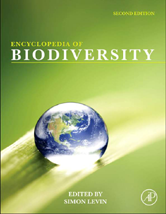 The Encyclopedia of Biodiversity, Second Edition brings together the dimensions of biodiversity and examines both the services it provides and the measures to protect it. Major themes of the work include the evolution of biodiversity, systems for classifying and defining biodiversity, ecological patterns and theories of biodiversity, and an assessment of contemporary patterns and trends in biodiversity. Nature-Based Coastal Defenses: Can Biodiversity Help?